As a health care professional for the past 15+ years I’ve always felt pretty confident I could find a good doctor, pharmacist, caregiver, physical therapist, or nurse if the time ever came that I needed one…especially in a crisis. I was recently put on the caregiver side of the health care equation – nothing earth shattering, but my son broke his leg and it came with a unique set of circumstances. Lost dreams of a summer soccer season, bike riding and swimming with friends, and a choir trip to Alaska were all things that suddenly seemed very much shattered. As his mom and caregiver I found myself wondering about all these things and a hundred others. I was squarely in a situation that was out of my control to direct. We were at the mercy of whatever orthopedic doctor the scheduler assigned to us. I imagine this is how family members feel when a senior in crisis is referred to a nursing home for rehab or to a home care agency for on-going care. How do I know I’m going to like the person that is assigned to me? Will they take enough time for me? Will they answer my questions? Are they any good at what they do? Do they provide quality care? How do I know that what they are telling me is correct? How do I know what I don’t know? What happened next on our broken leg journey was nothing short of anxiety inducing. The doctor we saw didn’t have time for us, he couldn’t relate to my son, and looked at me like I was crazy when I asked about pain control. We left his office without any instructions on my son’s restrictions or care. We also left with newfound gratitude for my profession as an occupational therapist; we would have been totally lost otherwise. What I realized after the shock of the appointment wore off was this: a broken bone had become routine to this doctor. It was a mechanical issue that needed repair – there was no passion for the care of the patient. To my son and our family a broken bone was anything other than routine; it was a loss of some short-term hopes and dreams. This is no different for a senior who sustains a fall, has a heart attack, or develops dementia – plans are changed, dreams are shattered, lives are disrupted…that IS NOT routine. How do you find an individual provider or senior care agency that will help you compensate, adapt, and be compassionate around these issues? Empower yourself: you are the boss of your healthcare, you have choices and options! If one provider doesn’t gel with your personality – that’s OK! Try someone else. Ask the questions you have. Does the staff have time for you? This means everyone from the scheduler, to the doctor, and everyone in-between. Think about the specific issue you need addressed. Find a provider that is specialized in that area. For example, a pharmacist is not the best professional to give advice about home safety – a physical or occupational therapist is. Hopefully you can ask anyone on your team and they can direct you to other qualified providers to help address your needs. Be wary of providers who claim to be a “one-stop shop” for seniors. As we age we have many unique challenges that arise, it is not feasible to be an expert in all things related to aging. A provider who takes a team approach and reaches out to other professionals to assist on a case is going to be better able to meet your unique needs. Is geriatrics a specialty area for this provider? You will get care that is more tailored to your needs if geriatrics is their primary area of care. Make sure you feel comfortable with the philosophy of care this company or provider offers. For great care to occur mutual respect is a must. This encounter also challenged me as a professional – am I still passionate about what I do? Have I let diagnoses such as Parkinson’s, Alzheimer’s Disease, or stroke become routine to me or do I still see the person as the unique individual they are with varied plans and preferences? I am happy to report I still find my passion for excellent care to be strong – perhaps that was why I was so disappointed in my experience with our first doctor. That’s right I said our first doctor! I advocated for my son and we saw another doctor who helped him achieve his goals. He listened and advised and most importantly cared. 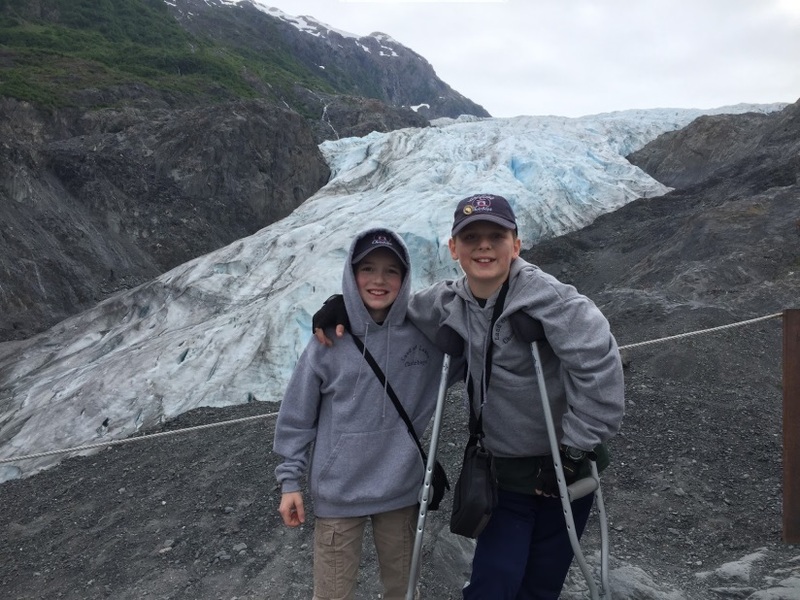 Just 3 weeks after breaking his leg my son hiked 1.5 miles to the summit of the Exit Glacier, in Alaska, on crutches, with the help of his friends. Our seniors’ stories should be no different – as providers we must help them hike their glacier, as caregivers we must cheer them on and find the right providers to support them. They deserve no less and they can do it with an excellent team surrounding them!